GardenFork.TV has taken the instructions for planting and growing garlic and presented it in a straightforward, fun, and concise way. Eric Rochow has a good sense of humor and isn’t afraid to use it to tell us all about where to find garlic seeds, the difference between “soft neck garlic” and “hard neck garlic,” and much more. 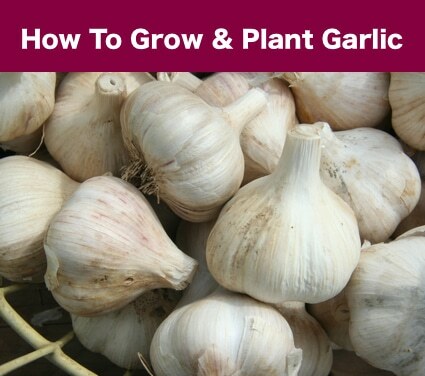 Check out the video below to get a great introduction to why you might want to grow garlic! Great video, thank you for sharing. I would like to say one thing about hard neck garlic though, there are varieties that produce many small cloves on each bulb. This is what I grow. I yield about 10-12 small cloves per bulb. So the number and size of cloves is not a reliable way to determine hard neck vs. soft neck.